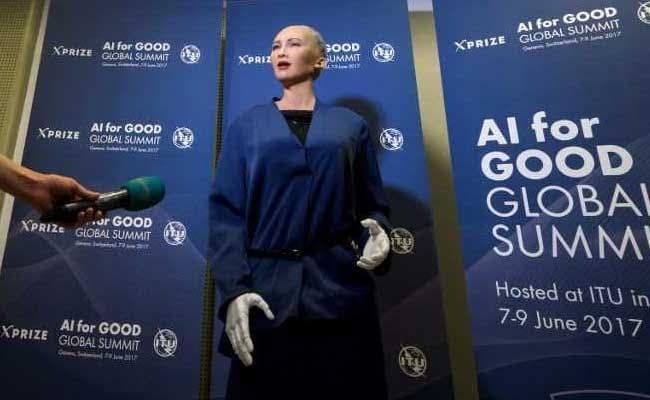 Sophia, a humanoid robot created by Hanson robotics, answered questions about the pros and cons of artificial intelligence at a Geneva conference. Geneva: Sophia smiles mischievously, bats her eyelids and tells a joke. Without the mess of cables that make up the back of her head, you could almost mistake her for a human.